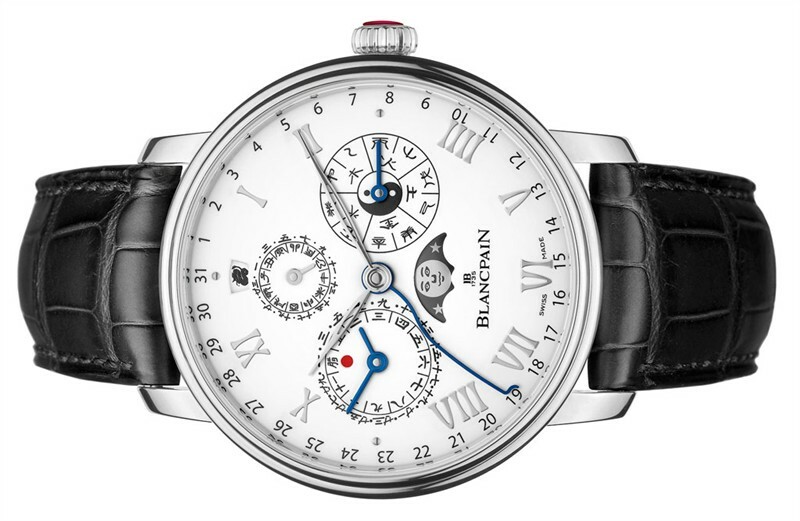 Collector’s favorite Blancpain maintained its distinctive vision and enhanced its appeal to Asian watch aficionados in particular with its new watches for 2012. Revealed at Basel World earlier this year, we were truly impressed with what we saw, even though we did not manage to see everything. For this report, we will begin with one watch we heard a great deal about but did not actually get a chance to view, the Villeret Calendrier Chinois Traditionnel. Angled clearly towards East Asia, this watch offers a full traditional Chinese calendar. To our knowledge, the Calendrier Chinois Traditionnel, or Reference 00888, is the first watch in the world to offer such a complication. Briefly, the watch marries some basic functions (hours, minutes and Gregorian date) with elements of the Chinese calendar. These include traditional double-hour, day, month (with indication of leap months), zodiac signs and five elements with 10 celestial stems. 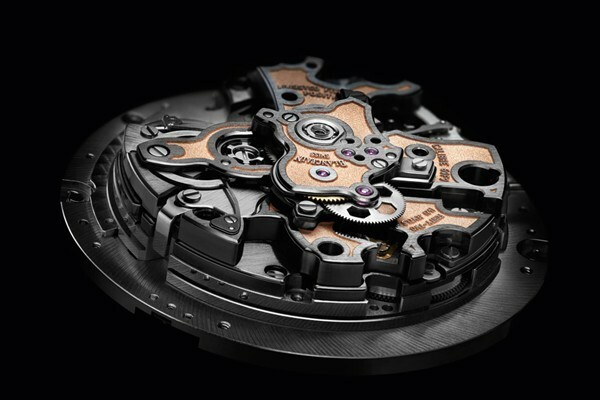 The movement is the in-house calibre 3638, with an impressive 7-day power reserve. 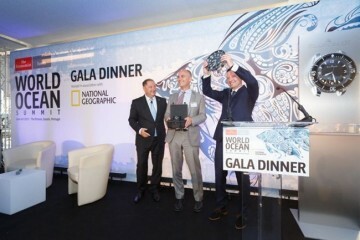 Given that this is the Year of the Dragon in the Chinese calendar, Blancpain is to be commended for going with a different interpretation that nevertheless is directly related to the year in question. In fact, while standard dragon interpretations are clearly one-offs, the Villeret Calendrier Chinois Traditionnel can become a regular fixture in the collection. Those looking for a direct dragon reference should look to the limited edition (a series of 20) in platinum, where the dragon is engraved onto the rotor of the automatic movement. The next new Villeret watch is one we have selected as being amongst the most notable of 2012, the Villeret 8-Day Squelette (Reference 6633). 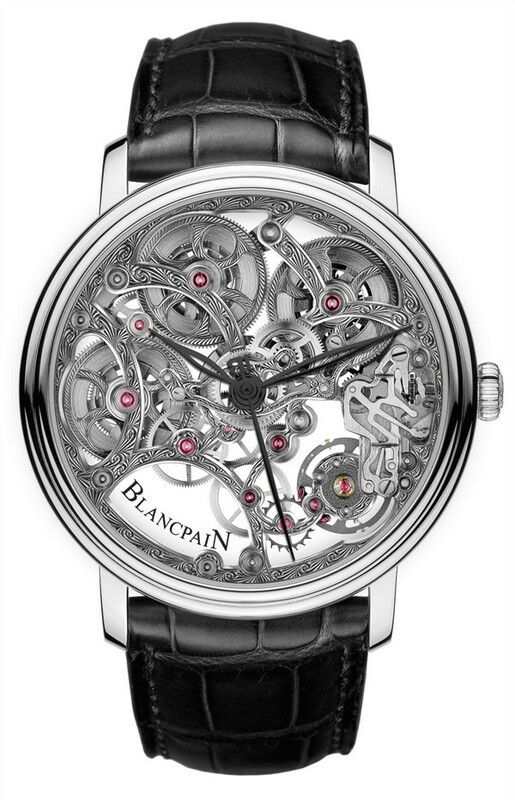 In an intriguing move, Blancpain has created a traditionally baroque open-worked or skeletonized movement and added a decisive contemporary touch in the titanium balance. This balance is highly visible in the 4 o’clock position. As with most skeletonized watches, there is an oddly ethereal feeling to the entire piece, with sections of the watch being entirely see-through. The in-house movement, calibre 1333SQ has been graced by two other arts aside from skeletonizing: chamfering and engraving. Chamfering, otherwise known as beveling, involves whittling away at metal to create slender and angled structures. In this piece, engraving has resulted in the elaborate patterns on the bridges and the mainplate. 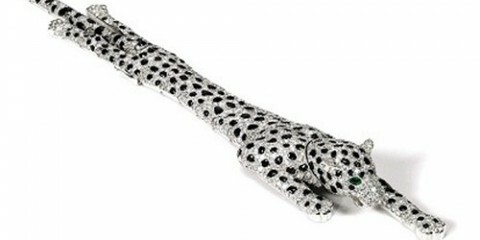 Issued in a 38mm white gold case, the watch is not a limited edition, which will no doubt surprise many. Of course, for craftsmanship at this level, one should expect supply to be limited by capacity. The final new watch in the Villeret collection is the Ultra-Slim Retrograde (Reference 6653). In this watch, we see an expression of the blue dial trend that began a couple of years ago. 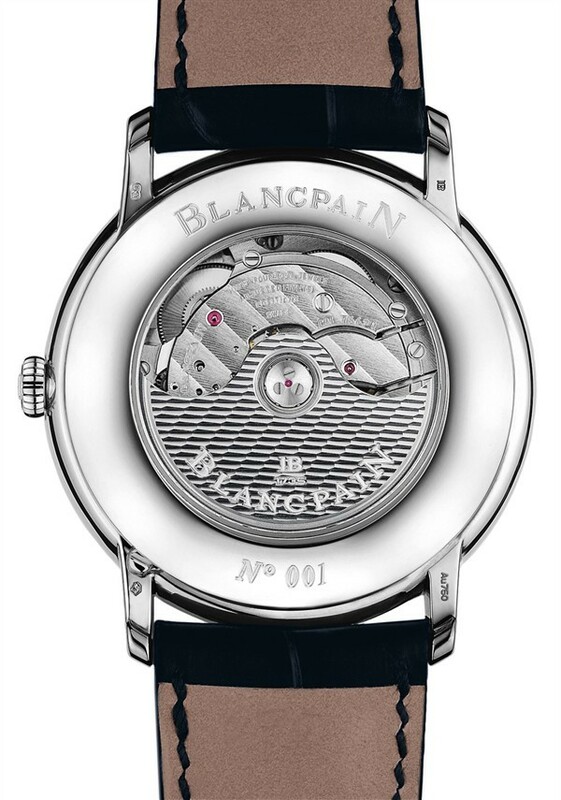 To be more precise, the dial features a flinque lacquered dial. While this self-same blue is very distinctive indeed, the most striking feature of the watch is the retrograde seconds at 6 o’clock. 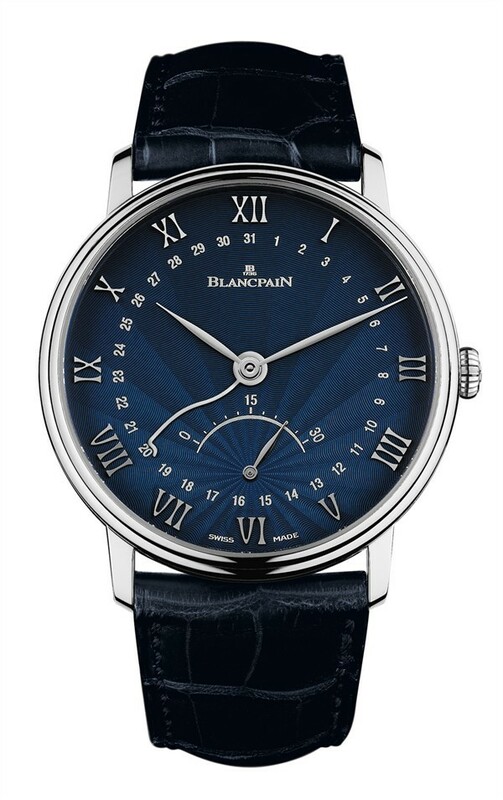 This feature – something Blancpain has long been famous for – makes the dial visually unique. The movement, calibre 7663Q is an ultra-thin manual winding affair, with three days of stated power reserve. An under-lug corrector enables fast date adjustment. Turning to the sporty side of the brand, the Blancpain L-evolution Split-Seconds Flyback Chronograph Large Date (Reference 8886) takes inspiration from the world of automobiles. 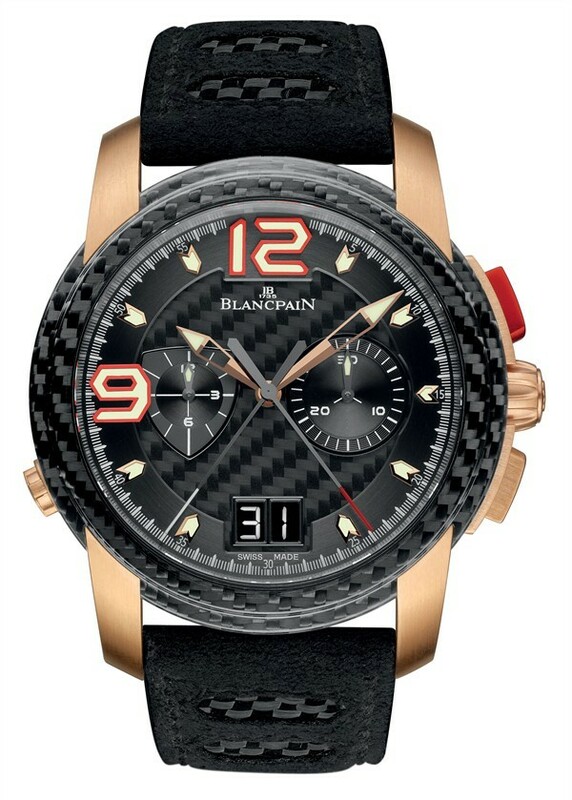 Blancpain of course is prominently involved as title sponsor with the Lamborghini Blancpain Super Trofeo series so this stylistic touch is very much in tune with the brand’s identity. Carbon fiber elements (including the bezel, dial and caseback) and red visual flourishes reinforce the sporty dimension to the 43mm watch. In terms of functionality, the name of Reference 8886 is self-explanatory. 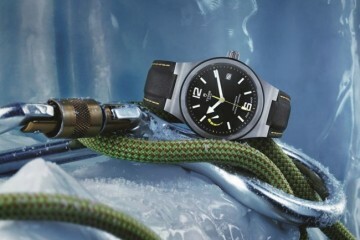 The movement behind this is calibre 69F9, a 409-part automatic engine with column wheel and vertical clutch systems. 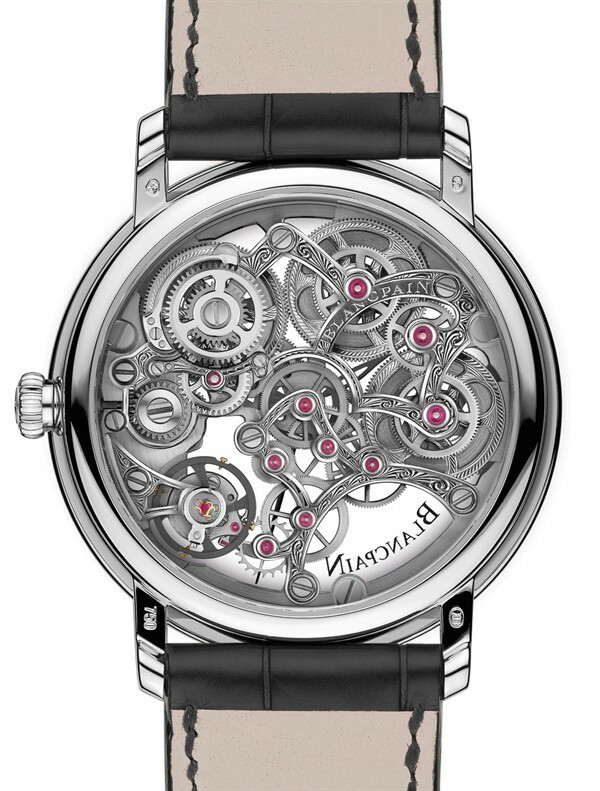 Viewed through the sapphire caseback, the movement reveals interesting finishing touches such as a two-toned beadblasted look and straight graining on the NAC bridges.